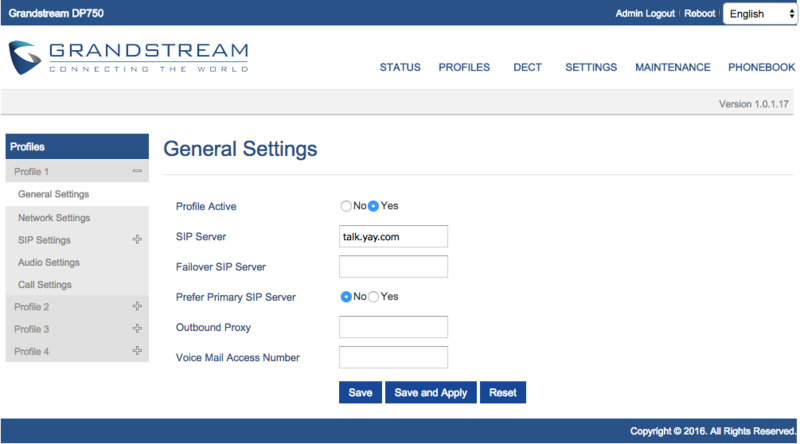 Home > VoIP Support FAQ > VoIP Phones > How do I set up a Grandstream DP750 base and DP720 handset? 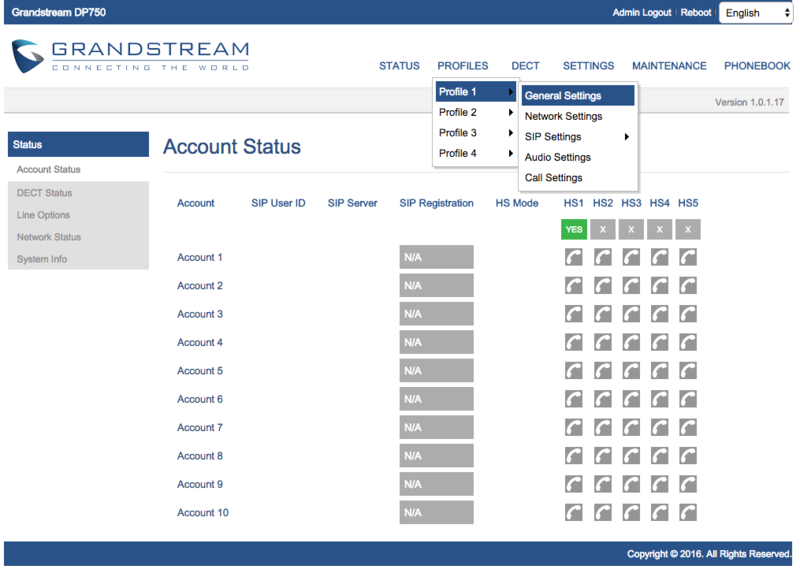 How do I set up a Grandstream DP750 base and DP720 handset? Navigate to 'Register' then press 'Select' (left softkey) while the radio icon on the base is blinking. Select 'BaseX' (X=1-4) corresponding to the desired base station DP750 then press 'Subscribe' (left softkey) to register. Press 'Subscribe' (left softkey) to pair with the displayed base. The handset will then display 'Easy Pairing' on the LCD Screen and will play an audible beep when successful! 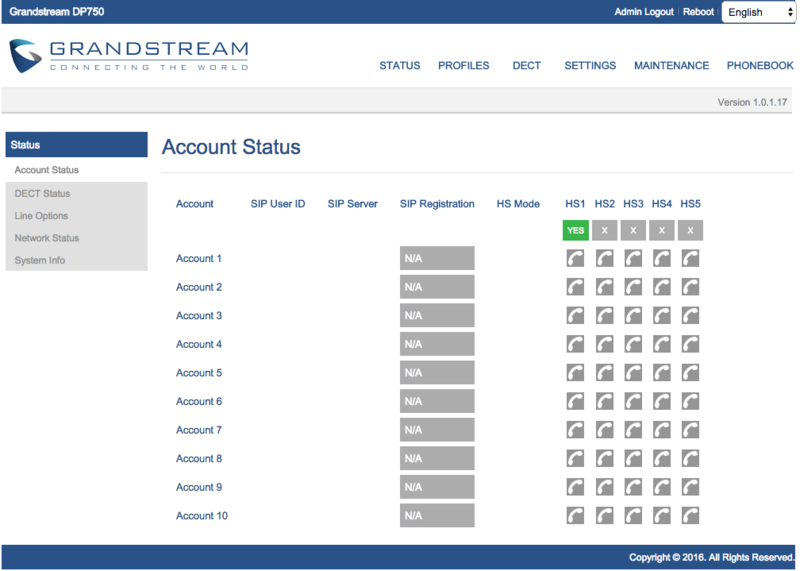 It will then return to the home screen, displaying the handset name and number assigned by the registered base station. Press the Up arrow to navigate to "Info, then press "Select"
The LCD screen will then display information about the handset. Using the Arrow keys, move the cursor down to view the IP address of the base. 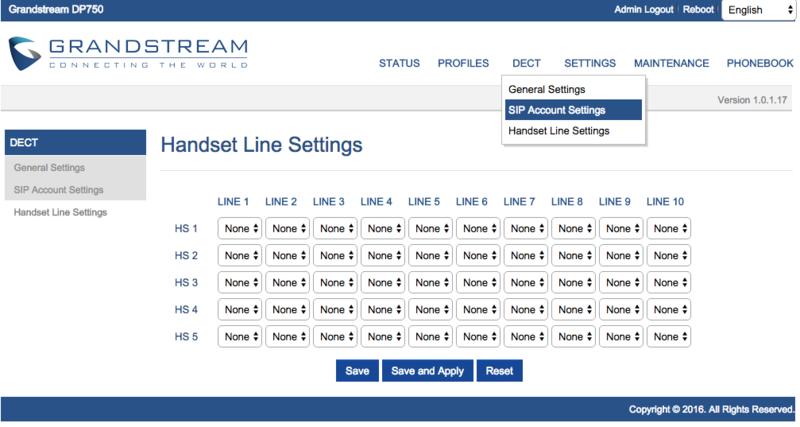 Once you have done that, click DECT > SIP Account Settings. To tell if you're registered with yay.com, head back to the Status page, you'll see the phone symbol will be green if correctly registered! 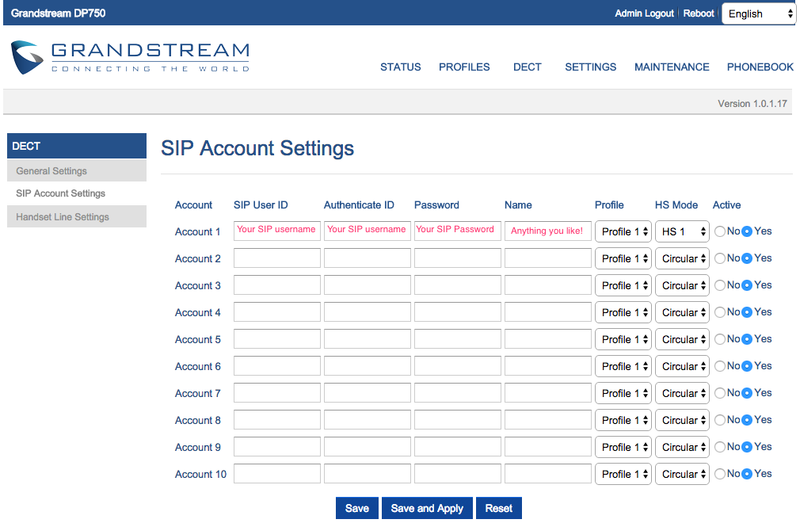 If not, make sure all your SIP user details are entered correctly, as well as the SIP server.